Minnesota Attorney General Lori Swanson filed suit Tuesday against the nation's three major insulin manufacturers alleging consumer fraud. Swanson claims Sanofi-Aventis U.S. LLC, Novo Nordisk, Inc., and Eli have been setting artificially high insulin prices so they can offer big discounts in the form of rebates to win contracts with health insurance companies. 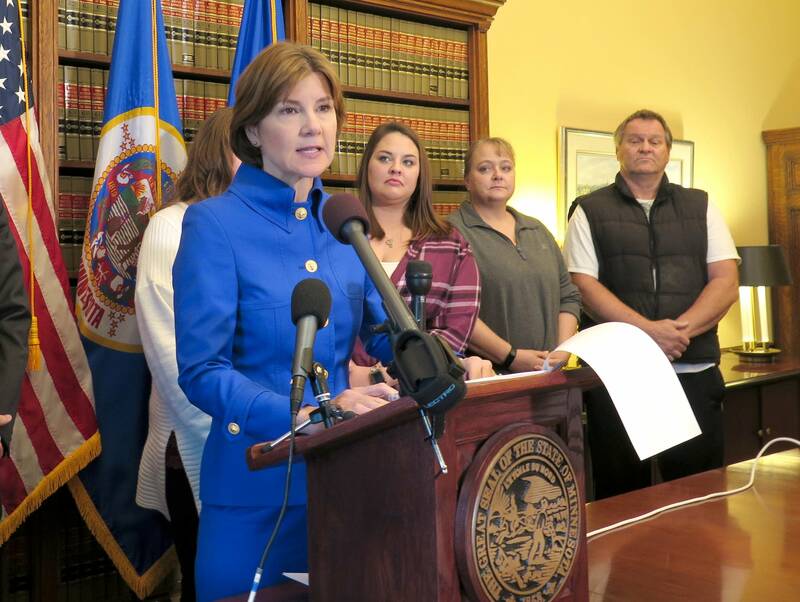 "We're alleging that the companies engaged in consumer fraud and deception by charging an unfair illegal price, a phony price that is not a real price that represents the true cost of the drug so we're alleging that they violated the state deceptive practices laws and the state consumer fraud laws," Swanson said at a state Capitol news conference. Swanson says the practice forces people without health insurance to pay significantly inflated prices for insulin because the big rebates available to insurance companies are not made available to them. "What you have are these pharmaceutical companies that we sued really creating two separate pricing systems," Swanson said. Swanson is seeking an end to the practice and refunds to consumers.